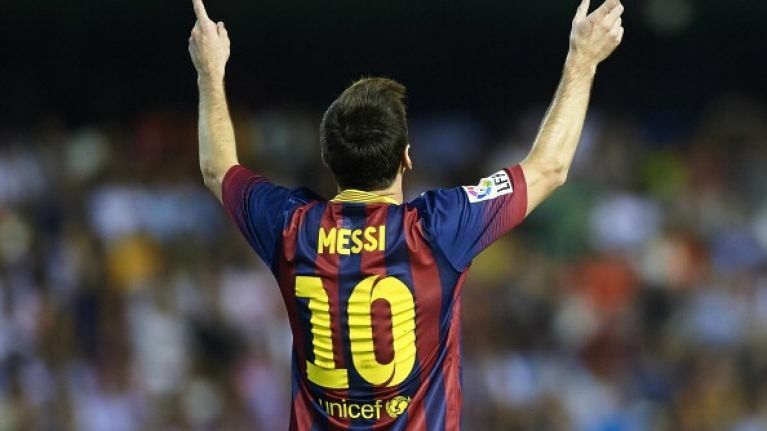 Video: So, who does Lionel Messi think the best player on the planet is? Lionel Messi is a hard man to get a hold of, on and off the pitch; he's one of the most private footballers on the planet which is annoying because he's the guy we all want to know more about. The gang over at ESPN pulled off a bit off a coup and managed to get a sit down chat with the Barcelona superstar and they asked him some pretty interesting questions, including the one we all wanted asked... excluding himself, who does he think the best player on the planet is? JOE looked on, thinking he has to say "Ronaldo" and he kind of did... sort of... not really... He sat on the fence: "I don't know, there are a lot of good players, Neymar, Iniesta, Xavi... Cristiano Ronaldo, Bayern has Ribery and Robben... they have a lot of good players. I don't know, I can name a lot of good players." When pressed for just one player by the slick American presenter, Messi smiled and said: "I'll let the people decide." Messi and Argentina get their World Cup campaign underway against Bosnia-Herzegovina on June 16th.